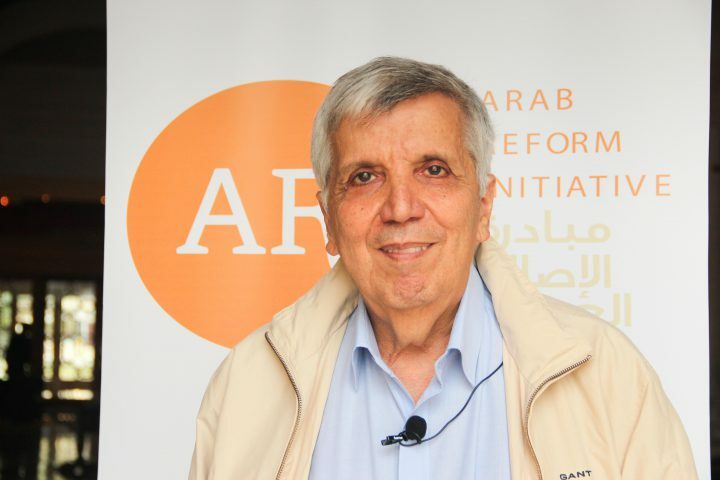 Associate Senior Researcher at the Arab Reform Initiative. Alvaro Vasconcelos is an Associate Senior Researcher at ARI, and lead author of ARI’s report on constitutional reform. He is also the Steering Committee Coordinator of the Global Governance Group (GG10). From 2007 to 2012, he was Director of the European Union Institute for Security Studies in Paris. He co-founded the Instituto de Estudos Estratégicos e Internacionais (IEEI) in Lisbon in 1981 and was its director until 2007. He has written and edited numerous books, articles and reports on foreign policy, common security policy, Euro-Mediterranean relations and the new world order. He recently edited and contributed to two major reports on global issues: Global Trends 2030 - Citizens in an interconnected and polycentric world as part of the European Strategy and Policy Analysis System (ESPAS) and The Challenges of Inclusive Multilateralism, the 2013 report of the GG10. His most recent books, Listening to Unfamiliar Voices - The Arab Democratic Wave (2012) and La vague démocratique arabe: L’Europe et la question islamiste (2014) address the challenge of responding to the ongoing transitions in the Arab world. Álvaro contributes regularly to newspapers, radio and television, both in Portugal and across Europe. His Project Syndicate columns are published simultaneously in many languages worldwide. His most recent article, Recognize Hamas as a valid interlocutor, was published in Lebanon's Daily Star in July 2014. Álvaro is a Knight of the Order of the Legion of Honor (France) and Comendador do Ordem do Rio Branco (Brazil).He is currently a Visiting Professor with the Instituto de Relações Internacionais da Universidade de São Paulo (IRIUSP).